There’s so much we can learn from history. The research I did for my Christmas Traditions novella, Sadie’s Gift, set in 1921, was enlightening. Did you know that the United States suffered a mini-recession immediately after WWI that dealt quite a blow to our economy before the “boom” in the ‘20s? 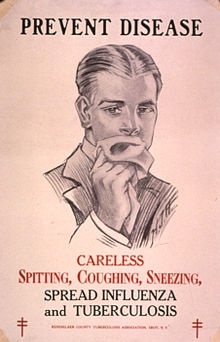 Did you know that one of the main reasons spitting in public was outlawed in so many states (and still is against the law in a number of places) has less to do with how nasty the practice is and more to do with an attempt to prevent the spread of tuberculosis? In Sadie’s Gift, Nurse Sadie Hubbard lives in an era when everything is hard… the United States has just come out of World War I, the economy is in the toilet, and after the devastating Spanish Influenza epidemic in 1918 the country continues an ongoing battle with tuberculosis. 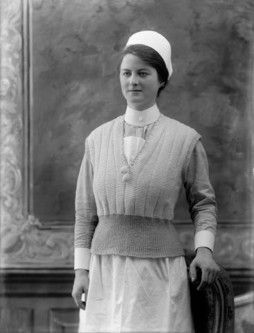 Sadie’s parents died during the Spanish Flu epidemic while she was in nursing school. When she graduated, she headed west to Colorado Springs and went to work in a preventorium, caring for children who had been exposed to tuberculosis, but had yet to exhibit symptoms of the deadly disease. Commonly known as consumption, or the “White Plague,” tuberculosis was at its peak during the latter half of the 19th century, and even in modern times, TB is still active. According to the CDC one third of the world’s population is infected with TB, and more than 1 million people died from TB-related illness in 2012. According to the World Health Organization, TB is second only to HIV/AIDS as the greatest killer worldwide due to a single infectious agent. Tuberculosis is believed to have originated in Africa some 5,000 years ago. In the early 1920s a French vaccine provided a measure of preventive relief, and the development of antibiotics nearly eradicated the disease, although resistant strains continue to present a threat. Sanatoriums were created in an attempt to limit the spread of the illness and to try to help TB victims overcome the disease. As the dry climate of the western U.S. was thought to be beneficial for TB patients, many of those sanatoriums were established in western states. For Colorado Springs, Colo., sanatoriums proved an economic boon. The preventoriums, on the other hand, tended to serve more as orphanages. 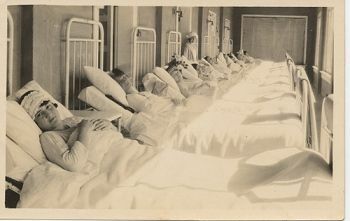 The children of tubercular parents or siblings who were not sick, but had nowhere else to go, ended up in preventoriums where nurses and doctors attempted to keep their patients’ physical, mental, emotional, and spiritual health in top shape, in hopes that the bacteria they’d been exposed to wouldn’t have a chance to take hold. Treatment involved plenty of fresh air (even sleeping outside on cold Colorado winter nights), a strenuous physical exercise regime, and healthy food. In Sadie’s Gift, our heroine believes the children in her care need something more in their treatment plan: the magic of Christmas. She sets out to create a genuine Christmas experience for these forgotten children, complete with a tree and toys and treats and decorations and the message of the Gospel. Her efforts are very nearly thwarted by a chance encounter with Nathan Wells, whose brother has just died of tuberculosis in one of the sanatoriums. Today, Sadie and Nathan’s story is more timely than ever, as our world and our nation are threatened by another deadly disease, the Ebola virus. How will we, as Christians, respond to this situation? Will we respond like Sadie, giving of ourselves to help the less fortunate around us, in spite of our own losses? Or will we respond like Nathan at the beginning of the story, angry and fearful and hardened to the needs of others? Niki Turner is a novelist, journalist, blogger, and the production manager for the Rio Blanco Herald Times weekly newspaper. Her first completed manuscript earned second place in the Touched By Love 2009 contemporary category romance contest. She writes for local newspapers, and won second place for best agriculture story at the 2013 Colorado Press Association annual convention. She also blogs at www.nikiturner.net and is a co-blogger at www.inkwellinspirations.com. 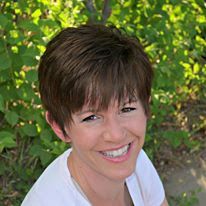 Niki is the Colorado Area Coordinator for American Christian Fiction Writers and is involved in establishing an ACFW chapter on Colorado’s Western Slope, where she resides. She published “Sadie’s Gift” as one of the Christmas Traditions novella collection. Her next project, “Santiago Sol,” will be published by Pelican Book Ventures, LLC, as part of the Passport to Romance novella collection. Connect with Niki on Facebook, or on Twitter. The graphics used in this post were taken from Niki’s “Sadie’s Gift” Pinterest Board. Niki has graciously offered to give away one e-copy of Sadie’s Gift! Leave a comment, including your email address, to be entered to win this wonderful novella. This giveaway ends Saturday, Oct. 18 at 11:59 p.m. CST.